This is it!!! The one you've been waiting for!! 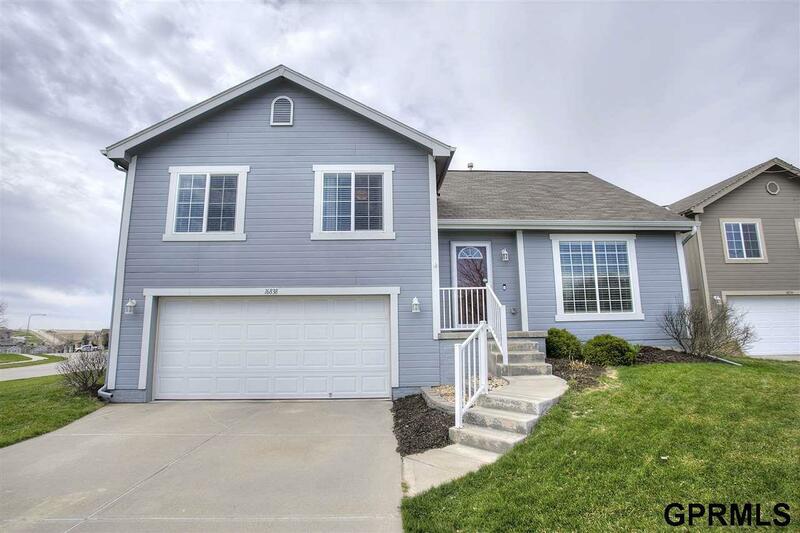 Clean & bright Multi-Level home w/an open & airy floor plan that is perfect for entertaining & all on a huge corner lot within a cul-de-sac!! This 3 Bd, 2 Bth, extended 2 Car garage w/open concept design boasts vaulted ceilings, gas fireplace, sunny eat-in kitchen w/easy to maintain flooring, gorgeous cabinetry, peninsula & stainless steel appliances just great for the big game!! Relaxing master suite w/huge walk-in closet & ¾ master bath w/solid surface double vanity for room to spread out!! Lower level has finished family room w/endless possibilities, just perfect for a cozy movie night, play room for the kids, workout area, you name it!! Finally room to run in this hard to find oversized corner lot w/full privacy fence, mature landscaping just ready to bloom & all on a cul-de-sac!! Perfect location near schools, shopping, restaurants & just a stone's throw away from Flanagan Lake!! This one won't last long!! Don't miss out!! Call now! !